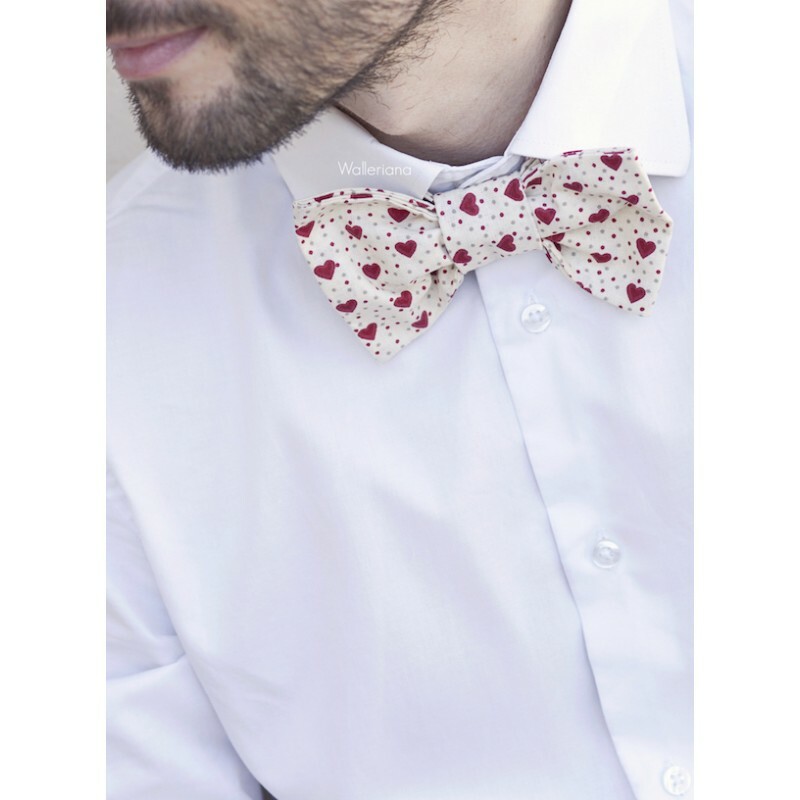 unisex bow tie with red heart hand made in France. Women wear bow tie. 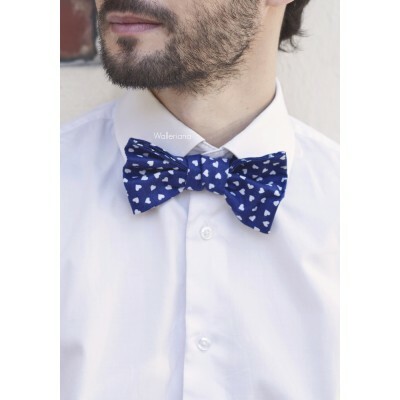 Léony is a cute ready-to-wear unisex bow tie in white and light green cotton with little flowers, from the bow tie collection "Le Palois". Matches our "Take me to San Francisco" red support socks. Can also be purchased as a kit !